Recommended for daily usage. For extra conditioning, compliment with KAO's Rich Premier Hair Treatment (item 4117). 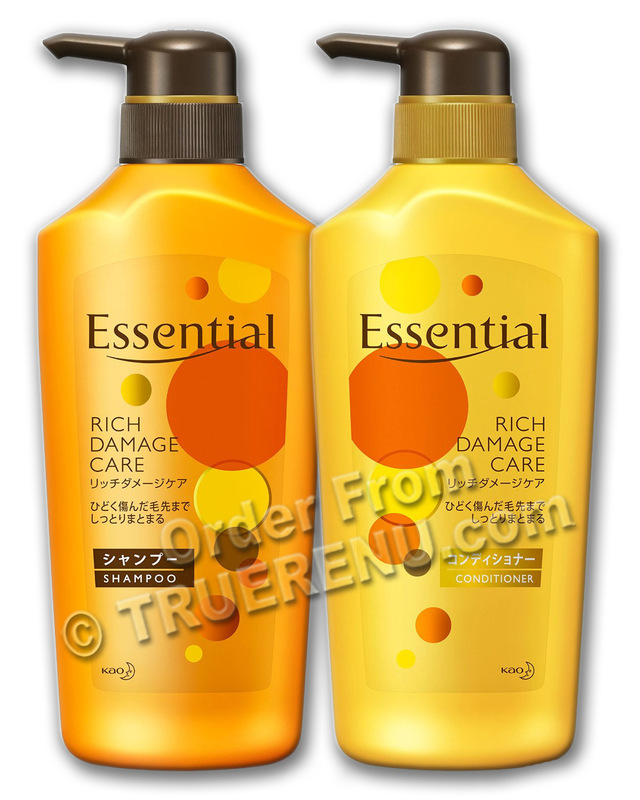 With regular use, KAO's Rich Premier Shampoo and Conditioner strengthens hair, improving softness and manageability. For more intense conditioning, combine with KAO's Rich Premier Hair Treatment (item 4117) once a week or as needed. Shampoo: Water, ammonium lauryl sulfate, alcohol, glycol distearate, lauryl hydroxysultaine, PPG-7, dimethicone, honey, shea butter, lanolin acid, stearoxypropyl dimethylamine, hybrid sunflower oil, malic acid, isodecylglyeryl ether, PPG-3 caprylyl ether, miristyl alcohol, stearyl alcohol, benzyl alcohol, polyquaternium-7, polyquaternium-10, guar hydroxypropyltorimonium chloride, cetrimoneium chloride, cocamide MEA, glycyl glycine, rosa canina fruit extract, BG, sodium laureth sulfate, laureth-4, sodium chloride, potassium hydroxide, sodium hydroxide, phosphoric acid, sodium benzoate, caramel, CI 19140, CI 15985, fragrance. Conditioner: Water, stearyl alcohol, DPG, dimethicone, lactic acid, stearoxypropyl dimethylamine, lanolin acid, malic acid, sunflower seed oil, hydroxyethylcellulose, polyglycerin-3, ceteareth-7, ceteareth-25, dipentaerythrityl hexahydroxystearate/ hexastearate/ hexarosinate, glyceryl stearate, bis-isobutyl PEG-15/amodimethicone copolymer, DI-C12-18 alkyl dimonium chloride, amodimethicone, alchohol, isopropyl alcohol, benzyl alcohol, fragrance.